Thea, a woman in her mid-thirties, with porcelain skin, curly red hair and deep blue eyes, glares at me from across the room, her brows knitted, her arms folded tightly across her chest. We have been sitting in silence since she entered my office and threw herself into the chair. Only a few minutes have elapsed, but the time hangs heavily in the room. “Why should I?” she retorts. Cathy is a colleague who did in fact know that I presented a paper during part of my time away, although I too have no idea why she needed to give Thea that information. However, she did, and it is now our job to understand the feelings churning inside Thea. 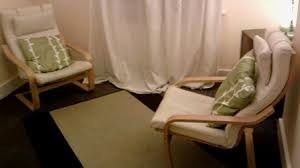 Although I’m always eager to treat other therapists, they do present their own unique set of difficulties, particularly in a small therapeutic community where you don’t always know who knows whom. “So what did it mean to you that I presented a paper?” I ask. I keep my face impassive, although I’m immediately puzzled. Certainly Thea knows that Cathy would know more about me than Thea herself. I say nothing, hoping that Thea will continue her self-exploration. This whole session feels like a land mine. If I stay silent, Thea might well experience me as withholding and provocative, much as I am experiencing her. If I confront her on what seems an extremely unlikely reason for her anger, she could experience me as both challenging and negating. If I guess at what I think might be going on here, I am doing her work for her. “She did tell me. And, no, I didn’t care about that. Oh!” Thea’s pale skin turns scarlet. I think of how difficult Thea has made this session. I think about her being many years my junior in terms of professional experience. I think about her highly successful older sister, Emily. I have a sense of what’s going on here, but realize how important it is for me not to be the wise, all-knowing therapist. Great recounting of the dynamic - I was gripped reading it, really! Thanks so much for your comment, Pamela; for your appreciating the dynamics of the treatment, as well as my writing. I'm a therapist in training, and really appreciated this example. Thank you -- you have helped me too. I'm thrilled to be of help to anyone who identifies themselves as "loving psychoanalysis." Thanks so much, Allison. I appreciate your feedback.